While visiting the Everglades with Arthur’s family on October 18th, I saw a wing-tagged Black Vulture at Coot Bay. Researchers have been monitoring wing-tagged vultures in the Everglades since 2012. The project aims to study vulture activity and behavior as they move across south Florida. 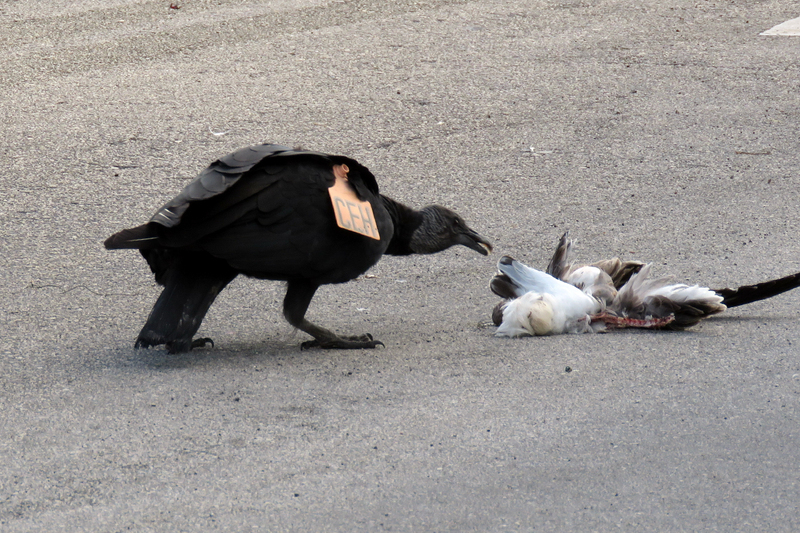 Vultures have also been noted to cause damage to parked cars at various spots in the Everglades, though I’m not sure if the wing-tagging study is related. 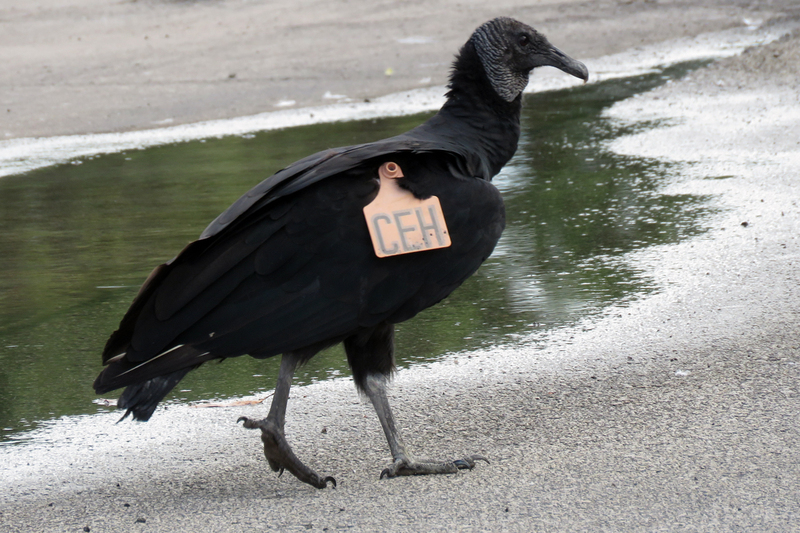 I sent the tag information on CEH to the Bird Banding Laboratory. The bird was an adult, at least a year old, at the time it was tagged in late 2012. 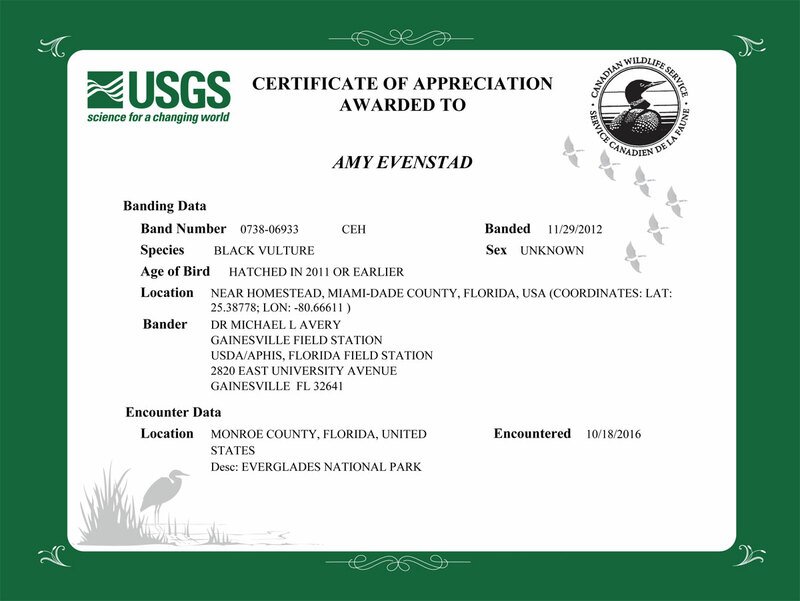 I hadn’t reported a banded bird for a very long time so it was nice to get the certificate emailed to me a few days later.